I feel your eyes as my daughter comes crying to me. You wait in silence to see how I respond to the latest scrape or boo boo. 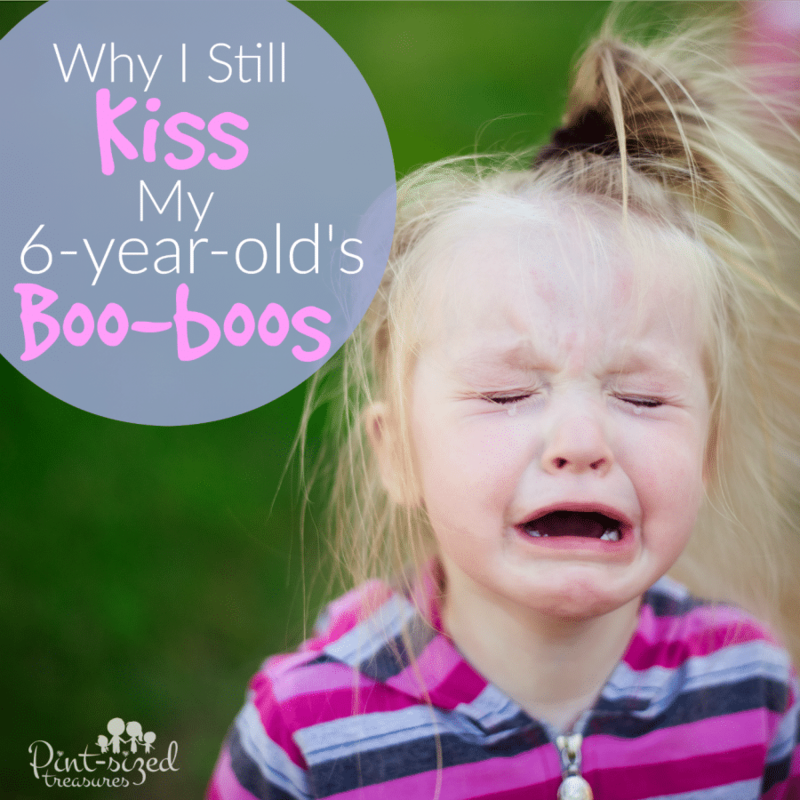 Without a second thought, I choose to kiss my six-year-old’s boo boo and can almost here your rebuttal. In just seemingly a few years my house will not enjoy the giggles and laughs of a energetic, silly six-year-old. Instead it will be full of teens and young adults. 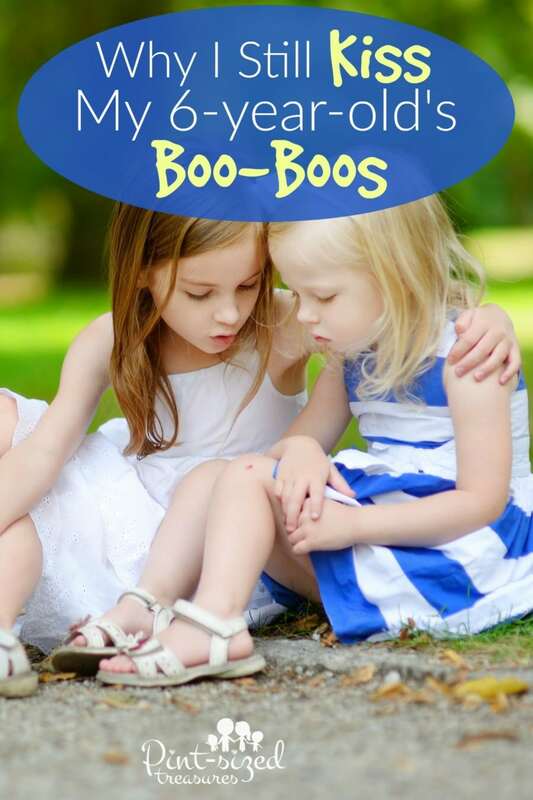 I want my child to know that at any age she can come to me with her boo-boos. Yes, she came to me with them when she was two, four, six…and she can come to me when she’s sixteen. Though her pains and tears will come from drastically different sources, she can still find comfort in the one person that still had time to kiss her boo-boos and wipe her tears away — even she was six-years-old. No, she knows she has a listening ear to confide in, a shoulder to cry on and a heart to care. It may look silly to you to see me hugging, speaking gently and acknowledging each scrape and bruise. But to my six-year-old? It means the world. Why would my teenager think I would care enough to listen to her problems, struggles and pains if I never took the time to kiss her boo-boos, wiper her tears and whisper, “It’ll be ok” in her tiny ear. I’m not talking about encouraging incessant whining, fits of anger and selfish tantrums. I’m talking about taking a few moments to listen…to care. So, yes, dear onlooker. I did just kiss my six-year-old’s boo-boo. I did just pick her up and cuddle her about her finger getting smashed in the door. Don’t worry about those glances, those opinions. Only concern yourself with this moment that means the moon and stars to your child. Sure, it’s not the end of the world and her dog didn’t die — but to her? It’s a big deal. And I plan on “being there” now, tomorrow and in the years to come. And I’ll be there waiting — waiting to kiss my child’s boo-boos.